It is both well known and common for animal lovers to pursue such jobs as veterinarian, groomer, or pet sitter. But what about the jobs that are a little less obvious? Slightly less common jobs include animal trainer, animal shelter manager, or zoologist. Anyone wanting a truly unique job with or around animals probably hasn’t considered the following six unusual jobs for animal lovers (spoiler alert: you should). Animal Nutritionists focus on the dietary requirements of a variety of animals. From dogs to cats, cattle to horses, and dolphins to whales. I mean, we all need to eat right? They outsource consulting services to agencies requiring information on animal nutrition. These agencies are typically zoos and corporations in the private sector, or county, state, and national government organizations in the public. Entry-level animal nutrition jobs require few formal skills. However, an animal nutritionist often requires an advanced degree, either an MS or Ph.D., in animal nutrition as well as three to five years related experience. Salary ranges from minimum wage for an entry-level position to $120,000 per year, depending on location, for applicants with advanced degrees. In addition to the perks of working with animals, animal nutritionists can acquire prestige by publishing books. Additionally, they often work in the field when on-site consultation is required. A wildlife rehabilitation expert helps nurse wounded or malnourished wildlife back to a normal healthy state, so the animal can then be released back into the wild. Although most jobs will be offered through preserves and zoos, some local and state conservation agencies also specialize in this area. Positions typically require a minimum of one or two years of experience working with animals, either as an intern or wildlife rehabilitative assistant. Because some veterinarian offices also provide animal rehab services. This is also a good way of finding a job as a vet assistant by gaining wildlife experience. The median salary for 2018 was $21,000. Although the median salary is relatively low, the job satisfaction reported by employees in this field was significantly higher. Also, higher were reports of overall happiness and feeling of purpose. Wildlife photography is a staple among nature websites, documentary film, and preservation magazines. And with enough experience, you may be able to become one of Nat Geo’s Photographers (goals!). Additionally, pet photography can involve preparing portraits of a family’s pet, be it dog, cat, iguana, or parrot. Basic DSLR experience is required. Computer and photo-editing experience is also required. To freelance in this area, all a person needs a prosumer camera with 4K photo and video capabilities along with appropriate lighting gear. For freelance pet photographers, sessions can be completed at the client’s location or at the photographer’s studio. Jobs with a photography company require applicants to have one year of experience, his or her own equipment, and an in-depth portfolio of similar work. The average salary for animal photographers was $40,280. For the animal lover, hanging out with kittens, dogs, and other exotic animals all day, photographing them, is a proven way to get that dopamine boost. Just as important is the sense of satisfaction that comes with delivering high-quality work to animal owners. Animal cruelty investigators are not pet detectives. Instead, they respond to complaints against people and investigate when an incident of mistreatment or cruelty has reportedly taken place. Additionally, they investigate puppy and kitten mills, but more commonly, they assist with abandoned animals. Their most common workplace responsibility is removing animals from homes, safely transporting those animals to a care facility, and working with local and state police departments. Requirements often include two years or more experience as an animal control officer. A college degree in business management is required as is successfully graduating from the humane academy’s training program. For 2018, the average salary range for animal cruelty investigators was $17,880 to $36,630. For animal lovers, the perks are obvious: being able to rescue and save mistreated animals results in a high degree of job satisfaction. Additionally, advocating for animals that cannot do so for themselves and working with law-enforcement officials to ensure justice is done is very rewarding. One amazing job still exists. Unbelievable as it might be, a herdsperson is also known as–a cowboy. 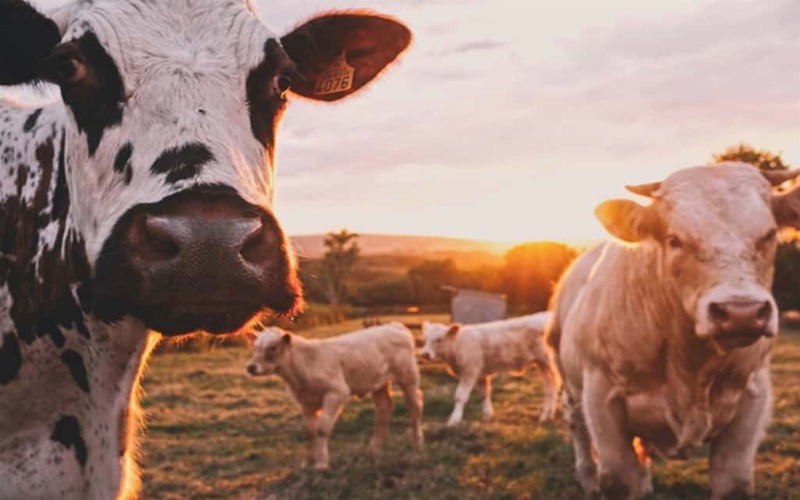 Other names sometimes include ranch hand, but the day-to-day activities of a herdsperson include managing and guiding a herd of cattle, sheep, or other herbivores. The herdsperson is responsible for assessing the day-to-day health of a herd by keeping it fed and helping to maintain members of the herd at an ideal body-condition score that represents an animal’s overall health. When it comes to maintaining a herds’ overall health, a herdsperson represents one of the primary hands-on positions to accomplish this. Other responsibilities include range management, employee safety, inventory reporting, and ranch security. Requirements include a high-school diploma and livestock experience. Fitness is a must as the position involves a lot of manual labor. Ability to work within a team is a key component of success. Of course, herdspeople ride horses, but they also use all-terrain vehicles. Although the usual depiction of the herdsperson is a lone cowboy, they actually work in teams, and the rapport that they develop becomes very strong. Helping to deliver animals and helping to take care of them rank among the most cherished responsibilities. For the extrovert animal lover, zoos and animal preserves often have tour guide positions. These positions often involve driving a tram and providing a narrated summary of the zoo’s wildlife. Requirements include a commercial driver’s license (CDL), six months of experience, public speaking ability, and customer service skills. Average pay ranges from $9.00 per hour to $12.00 per hour. Being a tram driver not only allows a person to work with animals outdoors in a zoo or park setting. It also allows a person to interact with a variety of other animal lovers, young and old, throughout the day. Being a tour guide is a good job to have as it always leads to something new. Even though the tour is often routine, the animals and the people never are.